Anime Expo (AX) is the largest anime convention in North America as of 2017, but the numbers have spiked yet again with a massive turnout of 110,000 attendees this year, a slight increase from its 2017 record of 107,658. It was held from July 5th to July 8th with a pre-show night on July 4th at the Los Angeles Convention Centre, but any regular attendee would agree that not even 4.5 days was enough to explore this incredible convention in its entirety. 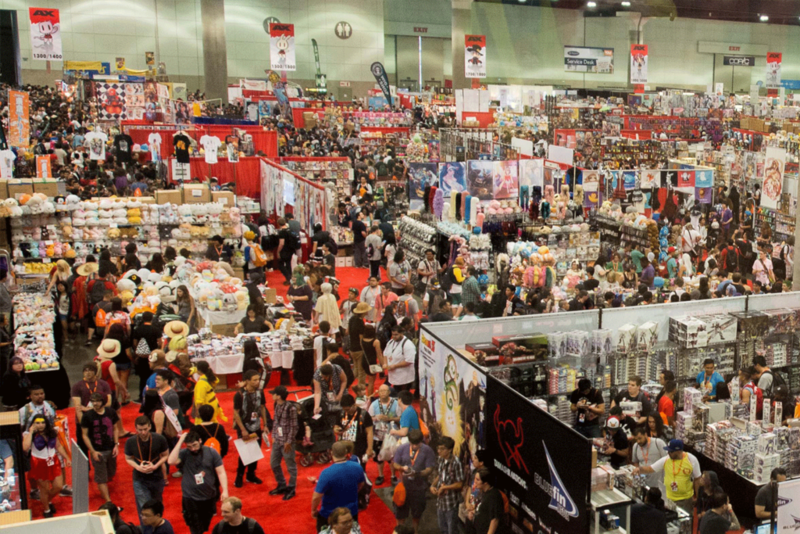 With big-name exhibitors, Guests of Honor and premieres, the content that AX offered was enough to rival any other anime convention in the world. The scorching heat of the 100Fs (~40 degrees Celcius) during the AX weekend did not stop the crowds from flooding the LACC. AX is affectionately dubbed “Line Con” for its ridiculous lines to go just about anywhere (entrance, panels, halls, autographs, restrooms), and you might wonder: What’s so special about this convention that people would hold in their bladders for two hours to wait in line, or readily throw hundreds of hard-earned dollars away? 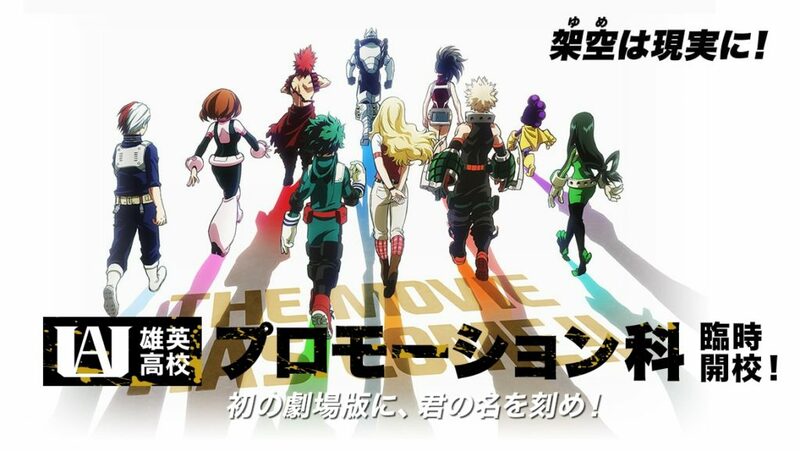 The Boku no Hero Academia series has been taking the anime and manga world by storm lately, and fans are eagerly awaiting the release of its first movie, Two Heroes. Courtesy of Funimation and Toho, the world premiere was held on Day 1 of AX 2018. But that’s not all: Deku’s voice actors, both Japanese (Daiki Yamashita) and English (Justin Briner) were among the voice actors who made appearances at a guest panel during the movie premiere. Boku no Hero Academia has literally one of the biggest fandoms in the American animanga community this year, as demonstrated by the sheer amount of their cosplayers wandering the halls, fanarts for sale at Artist Alley, and of course, the massive crowd who strived to get into the premiere. Every attendee of the premiere walked away with a free BNHA popcorn box and paper cup. The Q&A session with the voice actors at the end of the panel was very informative and offered not only insight into the art of voice acting but also a comparable difference between voice acting in Japanese and in English. With close to 9000 attendees interested to attend the premiere that could only seat 300, there were special procedures involved to get in. One would have to stand in line to get a wristband right when the doors opened in the morning, and then stand in another line to get into the Main Events hall. Was it worth it though? My short answer: Yes. It was worth dying under the sun to wait in line. My long answer: YES. If you are a fan of the series, please do yourself a favor and watch this movie when it comes out. It contained every single element that made BNHA amazing, and every little thing that made us love it so much, from the art, to the characters, to the plot, and of course, to the battles! The fight scenes were out-of-this-world, and although it went on for a good one-third of the film, it kept viewers engaged with high tension and energy in its plot build-up. To simply say it was “good” would be a complete understatement. I loved the outfit changes out favorite BNHA cast went through, and their interactions and displays of their Quirks remained as exciting as ever. Watching the movie with a hall full of fans who share your excitement made the experience so much more extraordinary. A collaboration between All Might and Deku that YOU ABSOLUTELY CANNOT MISS! 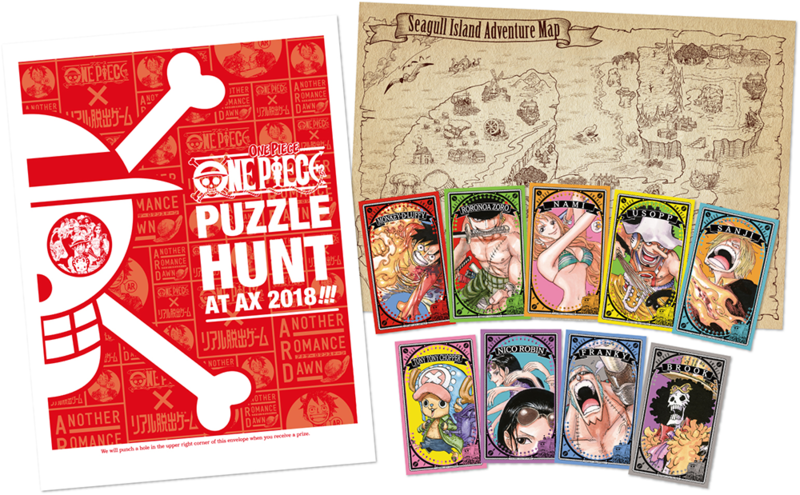 The One Piece Puzzle Hunt is an interactive game where attendees could go on an adventure to explore the island that is the convention center. The ticket to play is $25, and not gonna lie, I only bought it so I could get the One Piece merch that comes in the game packet. Each player will receive a nine-piece One Piece special character card set and a special One Piece folding fan. 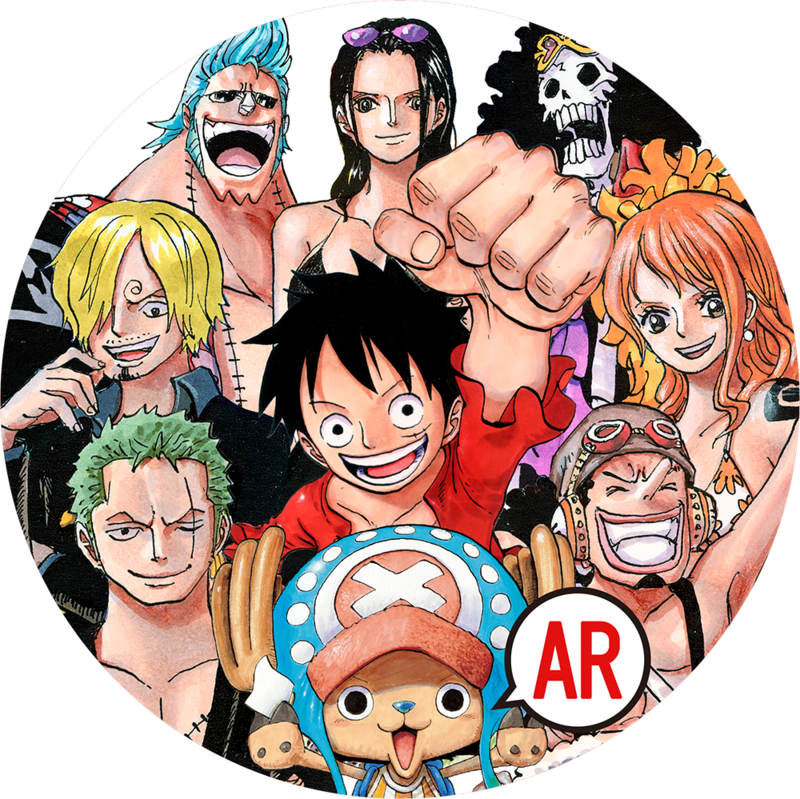 Everyone who signs up for the game will also enter into a lottery for special One Piece goods that include One Piece hand towels, One Piece illustrations, a package of One Piece assorted goods, original One Piece stickers and more. Seagull Islands, a place of mystery somewhere on the Grand Line. A massive storm destroyed your ship, and you barely managed to reach the shore. While you search for a way off, you encounter a ship on the beach. It’s the Thousand Sunny, the famed Straw Hat Pirates’ ship! You decide to approach and ask for help. There is an option to play using an AR app available to download on your smartphone, which makes the whole experience so much more unique. Players would scan the AR code found on each location board to access the next clue. However, it is still playable even without the app – an alternative I had to resort to with the limited Internet access I had in the convention center. The riddles were a lot more difficult than I had anticipated, but being able to solve them at the end was a satisfying experience like no other. Being the huge One Piece fan that I am, being able to play this game while exploring the convention center was definitely one of my highlights. 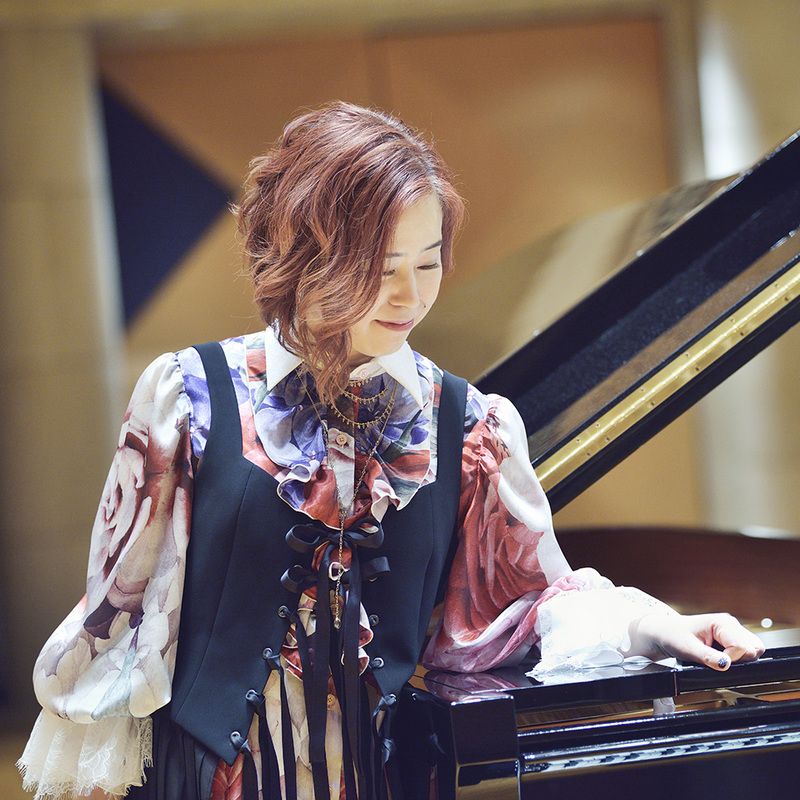 featuring Aquours held on the night of Day 0.
featuring m-flo, PKCZ®, YASUTAKA NAKATA, Crystal Kay, Hachioji P, TeddyLoid, Masayoshi Iimori, and YUC’e held mid-day during Day 1.
featuring Aimer, Yuki Kajiura, May’n, and Sanketsu-girl Sayuri on Day 2.
featuring AKB48 Team 8, THE IDOLM@STER CINDERELLA GIRLS, i☆Ris, and Shoko Nakagawa held on Day 3. These concerts were all held at the Microsoft Theater just across the street from the Staples Center, and all thundered with energy from eager fans. The lightsticks that concert attendees waved created a beautiful sea of neon clouds that encouraged the performers to bring up the energy of their performances. Every morning before the Exhibit Hall doors opened at 10am, it would be advisable to stay away from the concourse area, because a horrifying crowd would gather before those doors waiting to run in to be the first at whichever booth that offered the rare loots they are after. These hungry attendees know exactly what they want to buy, or who they want to see, and for a good reason so. 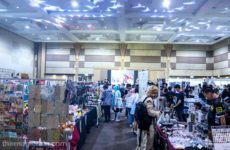 On top of exhibitors such as Funimation, Aniplex of America, Bandai Namco, Bushiroad, Crunchyroll, Kadokawa, Pony Canyon and Toei Animation bringing in various exhibits and figurines, there was definitely no shortage of plushies, artwork and fandom merchandise for sale in the hall. 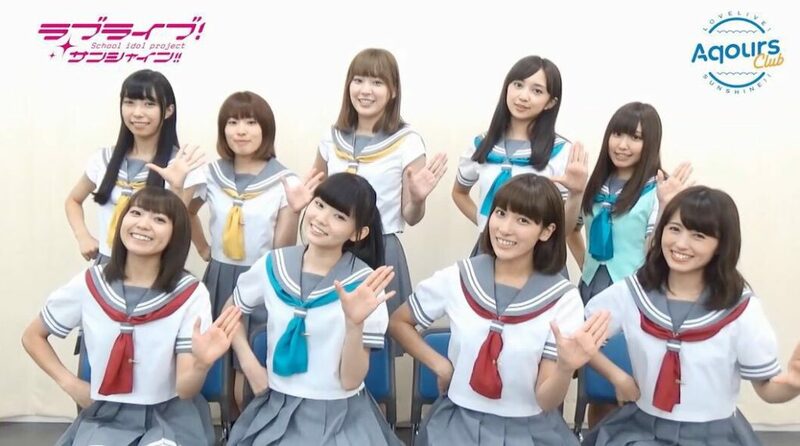 Many special guests made appearances at these exhibit booths, such as Reina Miyase, Mei Hanakawa and Sally Amaki of Japanese idol group 22/7, cosplayer of Cybird’s Ikémen Series characters as well as English Producer of the Series’ best-selling otome games Hiroto Kuramasu, Youtubers Supermega, Canadian cosplayer Phil Mizuno, and industry guests who have produced and directed top hits in the anime world. There was a weapons section in the hall dedicated to selling cosplay weapons of the finest craftsmanship. On the other end of the hall was a special 18+ section where attendees would, as its name suggests, have to be over 18 years old to enter. Other notable highlights in the hall were a Sailor Moon pop-up store selling authentic merchandise of the series, a One Piece/Digimon Adventure tri exhibit at the Toei Animation booth, and displays of Kyoto Animation’s original sketches for the anime Hibike! Euphonium and its upcoming side story movie Liz and the Blue Bird. If all of this seems overwhelming, just know that everything mentioned above isn’t even half of what was truly offered in the exhibit hall. On top of this hall, there was also Artist Alley and the Entertainment Hall to explore. Perhaps you are starting to realize why 4.5 days is far from enough to fully enjoy Anime Expo. And now we move on to what was essentially, the gaming and cosplay paradise. There are a variety of photo sets in one area of the hall where cosplayers can take pictures in, depending on which ones would best suit their characters. 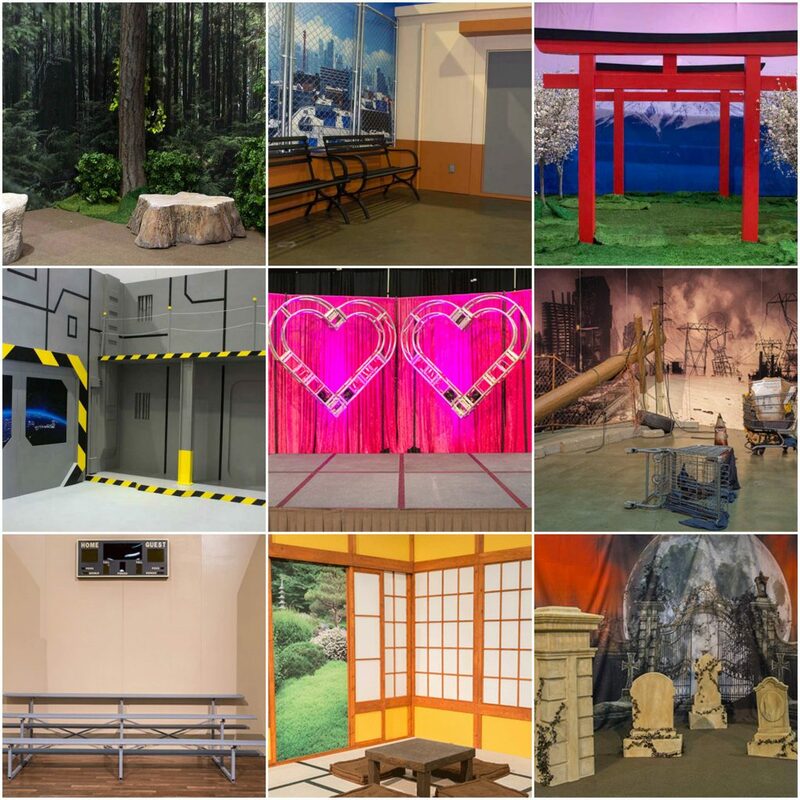 Some of the backdrops included a forest, Japanese room, classroom, Japanese school rooftop, inside a train, and even a ballpit! There is also a designated Cosplay Repair Center where cosplayers can check out supplies like sewing items, 10+ types of glues, wig styling supplies and clothing irons. The Repair Center is provided at no extra cost for cosplayers who are looking to fix their costumes, wigs or props during the convention. Some local and global cosplayers who promote inclusivity, acceptance and fun within the cosplay community known as Cosplay Senpai were tabling in the hall and were also giving panels during the convention. Some of 2018’s Cosplay Senpais include Utahime, Amber Kohaku Chan and Steff Von Schweetz among other amazing talents! The other half of the Entertainment Hall featured gaming areas where attendees can try their hands on Kingdom Hearts III, the new Fate/Grand Order game, some arcade games and a separate section for tabletop gaming that includes tournament events. The hall also boasted an art show, a community stage, and a display of costumes worn by previous World Cosplay Summit USA winners. The one section that I have a strong love-hate relationship with. I hate to spend the money I don’t have, on all the merch and artwork I love. Artist Alley is a great platform to discover some incredibly talented artists. As one walked through the aisles of colorful prints, cute keychains and eye-catching banners, it would be difficult to keep those wallets sealed through the great temptation. I was excited to see some fanarts of my favorite characters, and even those from lesser-known series. Boku no Hero Academia is definitely a popular series to find fan creations of, other than the ever-popular characters from the Marvel/DC Universe. On the other side of the hall was the autograph section for Guests of Honor and industry guests, and attendees had the opportunity to meet their favorite producers, directors and voice actors up close. Speaking of Guests of Honor, a majority of the guests at AX this year were involved in upcoming film and series titles that were exclusively screened at the convention. The highly anticipated film Maquia: When The Promised Flower Blooms had its U.S. premiere and was attended by Mari Okada (director and writer of Maquia, writer of Anohana, Nagi no Asukara) and Kenji Horikawa (founder and president of P.A. Works, the studio that produced the film). 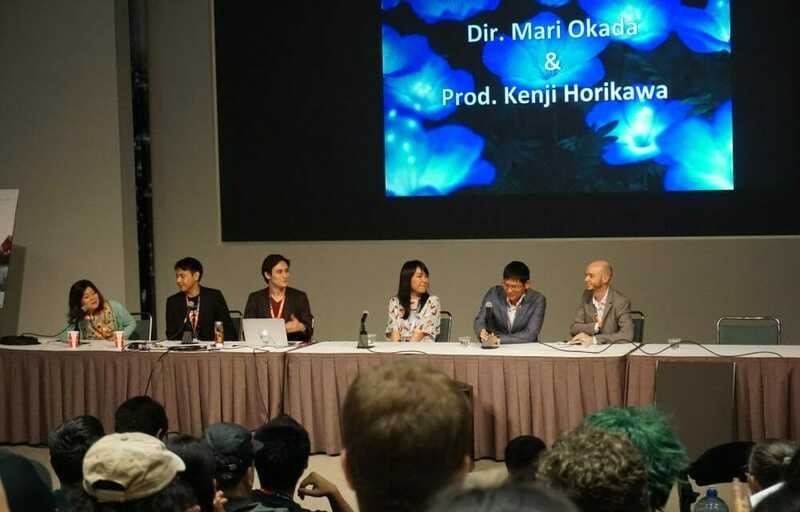 Mari Okada worked on another anime project that also made its premiere screening at AX, titled Dragon Pilot: Hisone and Masotan. Directed by Hiroshi Kobayashi of “Kiznaiver” and created and animated by Studio Bones, this adorable and heartwarming story of dragons managed by Japan Air Self-Defence Force offers a fresh look to modern anime with its interesting animation style and story concept. The executive director Shinji Higuchi, a veteran in tokusatsu films who worked on Shin Godzilla, Neon Genesis Evangelion and the live-action films of Attack on Titan joined Okada in a special Q&A panel during the screening. While we’re on the track of yuri-vibes in premiering films, we can’t forget Kase-san and Morning Glories, the OVA of the Kase-san yuri manga series. The one-hour OVA premiered with a panel attended by its director Takuya Sato (director of Steins;Gate and writer of the Fate/Stay Night anime) and producer Yusuke Terada from Pony Canyon. I saved one of the best for last, and so did AX, because the world premiere of Attack on Titan Season 3 was scheduled on the morning of Day 4, the last day of the convention. This insanely popular hit needs no introduction. 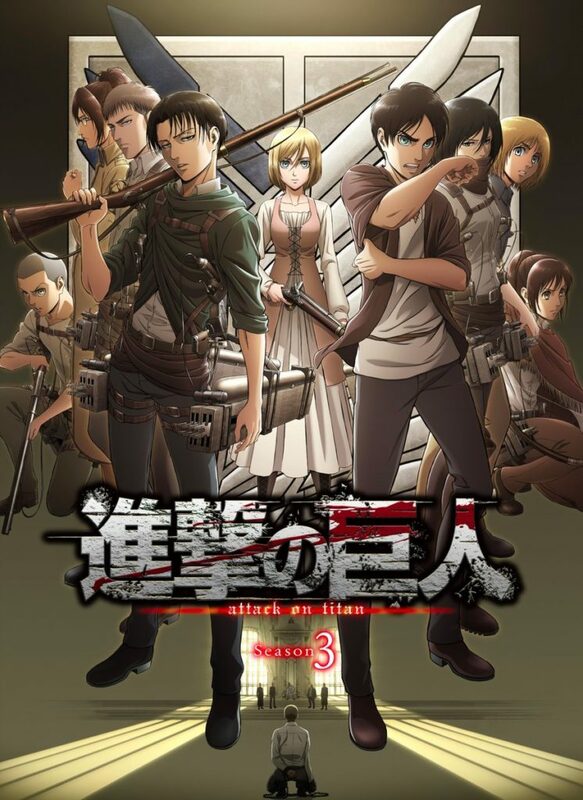 The Attack on Titan series took the world by storm especially when the anime was first released in 2013, and it has been an ongoing fan favorite ever since. 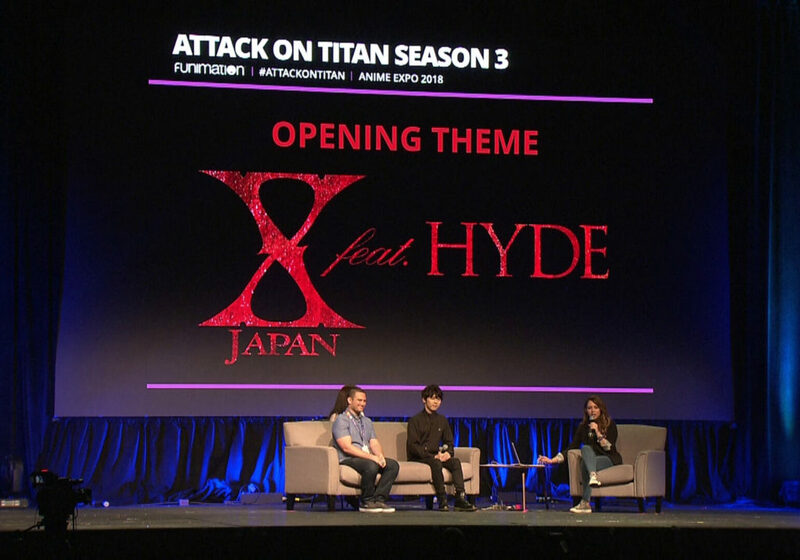 With the first episode of Season 3 just released on July 22nd, attendees of the highly-anticipated premiere were given an exclusive viewing of the episode during the convention. 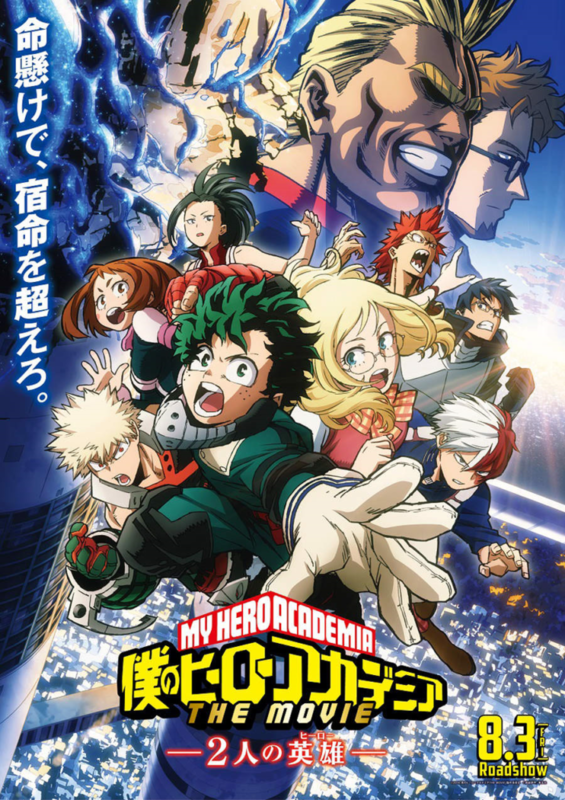 With procedures as complicated and unattainable as the Boku no Hero Academia movie premiere, the Main Events Hall saw full attendance with eager fans cheering on for their favorite characters. Although the episode starts out calm, the looming atmosphere of disaster doesn’t leave ever leave the series even during its slightly comical parts. Of course, what is Attack on Titan without unexpected character deaths? Episode One revives the horror and excitement of watching the anime, and this season seems to dive a little into Captain Levi’s past connection with a newly appeared villain. 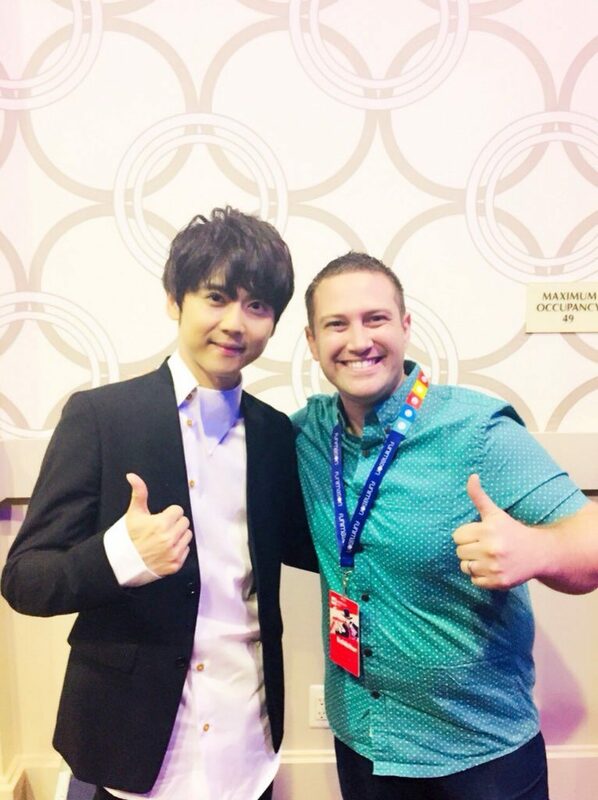 Yuki Kaji and Bryce Papenbrook, the Japanese and English voice actors of Eren gave a special Q&A and discussion panel about the process of voicing such an angry, impulsive and energetic character, and gave their thoughts about the darker themes of the series. Yuki Kaji is one of my all-time favorite voice actors who have voiced more characters than you can probably remember. He is the voice of Todoroki from Boku no Hero Academia, Meliodas from Nanatsu no Taizai (Seven Deadly Sins), Shu Ouma from Guilty Crown, Alibaba from Magi, and many more you might not realize from his diverse voice acting roles. Bryce Papenbrook is the English voice of Rin Okumura from Blue Exorcist, Kirito from Sword Art Online, Adrien Agreste from Miraculous Ladybug and interestingly enough, also Meliodas from Seven Deadly Sins like Yuki Kaji. Q: Who is best girl? Q: Who is best boy? Yuki Kaji: *pauses* Levi-heichou (captain). Eren trusts him blindly…Levi is like god. Also if I didn’t say that he would probably kill me (Eren). And Papenbrook agreed. As expected from the two Erens. It was a very long read, so congratulations for making it this far! These were just some of my personal highlights, and there were other features I wasn’t able to check out just because there’s too many of them! Anime Expo was definitely a memorable experience that wasn’t only exciting for its displays and exhibits, but also informative from their panels with the Guests of Honor and special industry appearances. 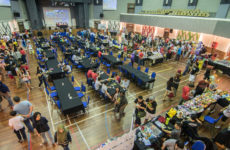 Who would you like to see as guests at local events in the near future, and what kinds of panels or features would you look forward to the most if they happened at ACG events in Malaysia? Next PostSan Diego Comic Con 2018 TV Show Trailers: Titans, Doctor Who, Star Wars, & Others!